Bergerac, in the heart of the Périgord Dordogne region, is an ancient and compact city, characterised by its elegant medieval and Renaissance buildings. Gourmet restaurants, street entertainment and the fact that the whole city can be explored on foot are all part of its charm. Bergerac is renowned for its wine, and a short trip to the outskirts of the city reveals a landscape of vineyards that produce some of the world’s finest vintages. Opening hours: Shop opening hours are generally 10am to 1pm and from around 2pm to 7pm daily. Shops are closed Sundays (sometimes also on Mondays). Some may open longer during the summer season or for a few weeks prior to Christmas only. There is so much to discover in this small picturesque town. 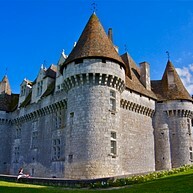 There are plenty of historical buildings to explore such as Château De Lanquais and Château De Monbazillac. A gentle walk around the city will also reveal Romanesque churches and interesting museums, such as the Musée du Tabac and the Maison des Vins. Venture further afield to take in the beautiful Dordogne countryside. Housed in a former monastery that dates back to the 17th century, the Maison des Vins de Bergerac showcases fine exhibits on the history of the region's wine production industry. 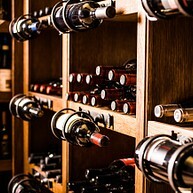 Visitors can naturally sample and purchase some of the vintages to take home. Musée Costi is located in the cellar beneath Presbytere Saint Jacques and showcases a number of bronze statues by the Greek sculptor Constantin Papachristopoulos (more commonly known as Costi), who gave all the sculptures to the town of Bergerac to be displayed to the public. The Bergerac Tobacco Museum is located in a beautiful turreted building called Pyrarède House. 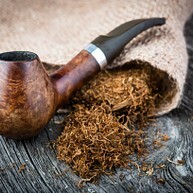 The museum's five exhibits showcase the history of tobacco in connection to the city of Bergerac, from its discovery to its social use. Cyrano de Bergerac is the titular fictional character from poet and dramatist Edmond Rostand’s great comedic work, adopted by the town of Bergerac. 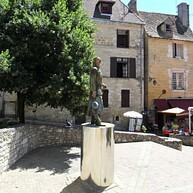 The statue is surrounded by quaint restaurants and is a great place to take a break from exploring the town. The traditional flat-bottomed boats that have historically navigated the Dordogne River are known as "gabarres," and there is no better way to take in the countryside of the region than aboard one. Take a one-hour tour and be in awe of the natural surroundings and picturesque villages you will pass. This adorable water mill, which rests on the banks of the Dordogne, is now an interactive museum dedicated to the production of cotton paper. 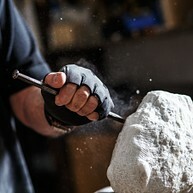 AS well as exhibitions on the production process and the history of paper-making in the region, visitors can see how the equipment is used and produce their own paper. Constructed by the same builders who erected the Musee du Louvre in Paris, Château De Lanquais is a spectacular Renaissance palace surrounded by lush greenery in the Dordogne countryside. The idyllic Château De Monbazillac dates back to the 16th century and doesn't seem to have changed much at all since then. The beautiful exterior, in its green surroundings, is matched only by the well-maintained interior, which is open to visitors throughout the year. 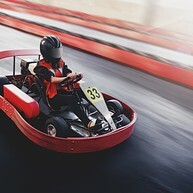 If you are looking for a bit of a thrill during your stay, then go-karting provides a great, fun-filled option for the whole family. Suitable for drivers of all ages (over 7 years old) and experience levels, Bergerac Karting is located just five minutes from Bergerac airport. Le Jacquou Parc is a three in one amusement park, suitable for the whole family. It offers a water park with swimming pools and slides, an animal farm and a permanent funfair with 17 attractions. The park is located a few kilometres north of Le Bugue. 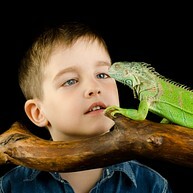 Discover the fascinating life of reptiles at Zoo de Mescoules. Here you can admire crocodiles, iguanas, giant pythons and other big snakes. Enjoy a guided educational tour that lasts one and a half hours. Outside is an inflatable outdoor game for children. Jardin de Planbuisson is a charming botanical garden with a unique collection of bamboo. There are nearly 180 species of bamboo here as well as trees, shrubs, perennials and herbs, all making up a unique collection not to be found anywhere else in Europe. The caves of Maxange showcase a rare diversity of rock formations, with stalactites and stalagmites, as well as entire walls covered with aragonite and rare helictites. 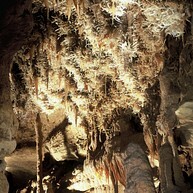 Maxange is known to be one of the most beautiful caves of France. It is located in Le Buisson de Cadouin near the Dordogne River. Accrozarbres is a fun activity park and a great place to bring your family and friends to discover some thrilling activities. 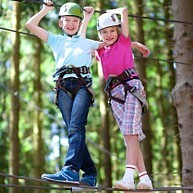 There are 25 zip-wire lines (the longest at 110m), two junior trails, a children’s play area, a snack bar and picnic areas. The park is located only 15 minutes from Bergerac. This organic vineyard in Monbazillac is housed in a spectacular chateau that dates back to the 13th century in the pristine Dordogne countryside. They produce wines of exceptionally high quality on their 14 acres of land, and the lovely staff are happy to show you around and teach you all about their process.